Antarctic sea ice increase not linked to ozone hole | Wott's Up With That? Contrary to expectations, our model simulates a year-round decrease in Antarctic sea ice due to stratospheric ozone depletion. The largest percentage sea ice decrease in our model occurs in the austral summer near the coast of Antarctica, due to a mechanism involving offshore Ekman sea ice transport. Ooh, they’re talking about computer models! Anthony hates computer models, he’s totally going to tear them a new one! Wait, why is he as quiet as a church-mouse? This particular computer modeling happens to be useful to denialists, so it gets accepted unquestioningly. 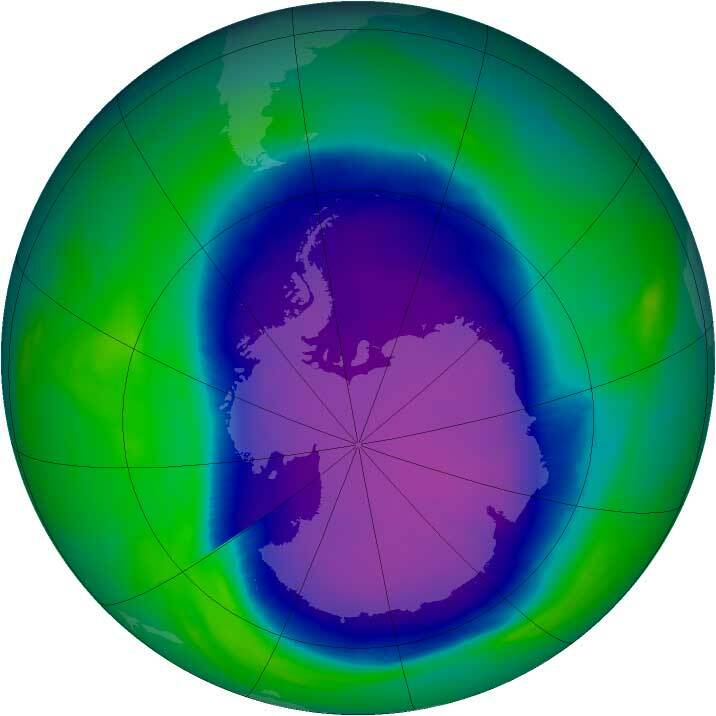 The Antarctic ozone hole. From NASA Goddard Space Flight Center. This entry was posted in Look Over There!, There's a Study! and tagged Computer Models, Press Release by Ben. Bookmark the permalink. One of the best things about being a “skeptic” is that you are allowed to have twelve conflicting opinions on any given subject but you don’t have to be embarrassed about it.